Spectu POS is the highest version of the electronic menu, which allows you edit menu and receive orders directly in point of sale system. Spectu POS contains a open API which allows connection with third-party applications. Thanks to connection with point of sale system Spectu become truly effective helper. If you allow your customers place an order throught Spectu, orders are printed in the kitchen and at the bar depends on setup in POS. Items are also automatically deducted from inventory and the whole ordering process is done seamlessly without waiter assistance. If you are afraid of errors, you can set up order confirmation. This feature hold incoming orders for confirmation by a waiter. Waiter can confirm an order on the screen of POS if he has enought rights in the system to do that. After confirmation order is printed. However our experiences with more than 100 devices installed showed, that the problems with incorrect orders are very rarely. Spectu POS using items directly from the POS system. So you don’t need to configure menu for Spectu and you can use your existing items from POS. Spectu is compatible with most of the POS settings including optional and forced modifiers, side dishes, half meals, printing, inventory and much more. Thanks to POS connection Spectu is out of the box solution. .
Another advantage of POS integration is the local server (in case the POS isn’t cloud based) which contains its database. Local server allows Spectu run without any internet connection and download data about new products and settings on local network using wifi. Internet black out will not affect your business and profits. 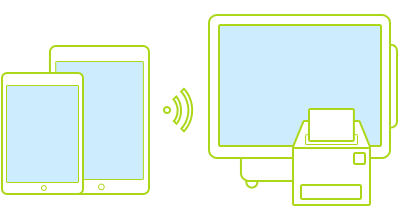 Spectu communicate wirelessly via local WiFi with the POS. POS provide Spectu informations about items, tables, and settings and contrary Spectu sending to the POS orders and customer messages. Spectu continuously checks its connection with the POS, to ensure maximum stability of the comunication between Spectu and POS. Thanks to this unique system you don’t have to worry about problems such as loss of signal or slow communication, which was particularly associated with the older technologies used in gastronomy. US point of sale system for iPad with thousands of customers around the world. POS developed by ASW Systems is leader on Czech market (Central Europe). Didn’t you find your POS? Do not hesitate to contact us. Comparison of supported features for each POS system can be found in the table below.